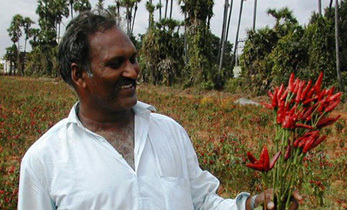 ICRISAT works in the drylands which are some of the driest and harshest regions of the world. Working in these regions has given us unique insights, experience and specialized skills in managing soil, water and other natural resources, restoring degraded soils, coping with adverse climate shocks and helping build the resilience of smallholder farmers. 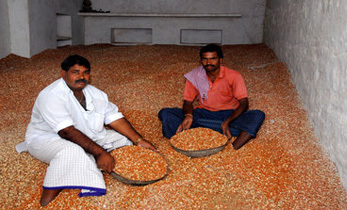 Dryland crops, pearl and finger millets, sorghum, pigeonpea, chickpea and groundnut, which are ICRISAT mandate crops, are Smart Food as they are highly nutritious, grow under adverse conditions with little inputs and have multiple uses beneficial to the farmer. Millets and legumes are traditional dryland crops which provide sustainable livelihoods and productive employment to 2.5 billion people living in the drylands. Millets are high in folic acid, zinc and iron and have 3 times more calcium than milk. Their low glycemic index helps manage blood glucose levels which is useful for diabetics. Both millets and legumes are high in fibre, protein, vitamin and micronutrients such as zinc, phosphorus, potassium, magnesium, etc. Our work helps farmers cope with climate change by providing them improved crop varieties which can better withstand drought and high temperatures and also help them diversify cropping systems and livelihoods. We integrate gender across the whole value chain from analyzing problems and opportunities to developing agri-business and linking them to markets. 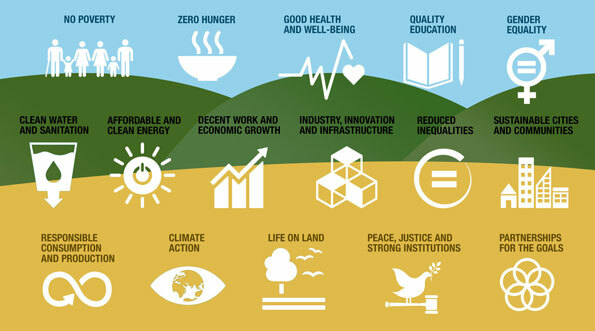 ICRISAT’s vision of a prosperous and food-secure future for all resonates strongly with almost all of the Sustainable Development Goals (SDGs) since our work is holistic in nature covering multiple aspects of a sustainable future. Reducing poverty, hunger and malnutrition in the dryland tropics are core to ICRISAT’s mission. Our work across the entire value chain – from improved seeds and technologies to post-harvest agri-business and facilitating market access – helps raise incomes of smallholder farmers while ensuring food and nutrition security. 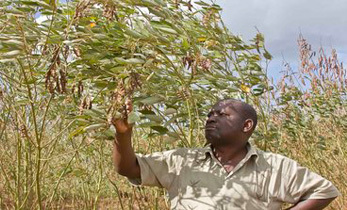 Improved varieties of pigeonpea developed by ICRISAT have resulted in 80% rise in farmers’ incomes in Kenya, Malawi, Mozambique, Tanzania and Uganda. 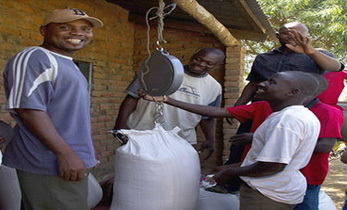 The Malawi Seed Industry Development project has resulted in US$3.3 million worth of consumed legumes and grain in households. Nutrition is an important aspect of our work. ICRISAT works along the whole value chain to integrate nutritional aspects from improving degraded soils of the drylands to improve crop nutrition, breeding for higher nutrient levels through to working with communities to cook nutritious foods. To combat anemia in women and children ICRISAT developed the first bio-fortified pearl millet variety – released in India as Dhanashakti – which is 7% higher in iron and zinc. ICRISAT specializes in Smart Food like millets, sorghum and legumes that are ‘good for you’ as they are naturally highly nutritious with high levels of calcium, iron, zinc and other minerals. Finger millet has 3 times more calcium than milk. Pearl millet has the highest folic acid content among cereals and is recommended for pregnant women. Millets have a low glycemic index which helps manage blood glucose levels and prevents diabetes. Providing vocational and technical training to women and youth is crucial to our work of strengthening value chains. Making agriculture profitable enables smallholder farmers to provide quality education for their children. Around 5,000 youth trained in agri-business, while around 45,000 participants benefited from other trainings and exposure visits. ICRISAT’s research framework is inclusive as it seeks to incorporate the voices of women, youth and the marginalized to inform its research strategy. Acting as a catalyst we help rural communities develop their own solutions while ensuring women, youth and the marginalized are empowered to participate and lead solutions. Having 50% women on watershed committees in India has ensured that their concerns are addressed in decision making. It has also empowered them to have an equal say in community affairs. More than 27 farmer seed producers associations, totaling 870 members (640 women and 230 men) in the Dosso region of Niger have been working with ICRISAT through the Tropical Legumes II project, since 2007 to: access modern varieties; train in seed production technologies; access inputs; and production market for groundnut seed by linking women seed producers to the market. Agriculture uses the most water and working in the drylands we work in the most water scarce areas which have the most critical need for solutions to improve water availability. On-farm and off-farm water harvesting and management coupled with treating wastewater for agriculture and integrated watershed management is helping improve water availability for farmers. 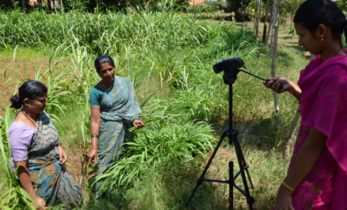 ICRISAT’s initial work in Kothapally watershed in India has been scaled up across the state of Karnataka, India. Improved water availability has increased crop yields by 20-66% and resulted in an agricultural growth of more than 5% per annum since 2009. The Yewol watershed in Ethiopia has led to a 5-fold increase in the irrigated area and reduced drudgery for women as water is now available on farm. Dryland crops such as sorghum have the potential to provide a clean and reliable source of energy. Sweet sorghum can be turned into biofuel at a low cost while addressing food security concerns of converting agricultural land to produce bio-fuel. Sweet sorghum, grows in a range of environmental conditions, with limited water and nutrients. Biofuel from sweet sorghum costs less, while other parts of the plant are useful as animal feed. Use of sweet sorghum ethanol reduces carbon emission by 80-90% when compared to use of fossil fuels. Farming and associated non-farm activities are a key driver of livelihoods in rural areas of India and Africa. Additionally engaging women and youth in livelihood opportunities is critical to our work. Agri-business has the potential to not only benefit farmers through value addition but also attract youth to agriculture. ICRISAT’s Agribusiness and Innovation Platform has been working to encourage entrepreneurship among youth by supporting agribusiness start-ups in the domain of food processing, seed business, farming and agri-biotechnology. Impacts so far are: 74 agribusiness start-ups incubated; Over 800,000 farmers benefited by products and value-addition services offered by clients; facilitated US$13.2 million as investment to start-ups; facilitated commercialization of 331 agro-technologies for Indian institutions; and 1,218 ventures provided incubation support. Digital Agriculture enables farmer’s to access information, finance and markets to minimize farming risks and move up the value chain. Innovative seed financing models are helping farmers in Malawi reap better dividends from agriculture. In Mali using drones for land mapping has helped strengthen land tenure systems thus benefiting farmers. Coupled with an android-based app this also helps them optimize resource use. Info-entrepreneurs emerged as new professionals to strengthen the existing agricultural extension system. The Green SIM innovation pushes relevant information to farmers on their mobiles, while the Green Phablet allows access to a database which can provide customized recommendations to farmers. 40,000 farmers in 171 villages bought the Green SIM in the first six months of the pilot initiative generating additional income for women and youth working as info-entrepreneurs. Our work in urban wastewater recycling for use in agriculture reduces the burden on civic infrastructure, is environment friendly and promotes safe and healthy agriculture in peri-urban areas which are fast emerging as high growth centers. Initial work in treating domestic as well as industrial waste water for use in agriculture is showing encouraging results. Our model comprising decentralized wastewater treatment system and reuse of treated wastewater in agriculture provides a solution for safe reuse of domestic wastewater at community scale. The core principle underlying ICRISAT’s work is sustainable natural resource management. Reducing the carbon and water footprint and improving soil, water and other natural resources is an integral component of our research. Millets, sorghum and legumes are ‘good for the planet’ as they have a low carbon and water footprint. Incorporating pulses in the cropping cycle can reduce the carbon footprint by 24 to 37%. Pulses can eliminate the use of nitrogen fertilizer as they fix nitrogen in the soil. Pulses require less water and effectively increase the water use efficiency of the entire crop cycle. The dryland areas of the world are increasing under the impact of climate change. For e.g. more than 3 million ha area have become semi-arid over the last 40 years in India and 40% of the land in which maize was grown, will not be suitable for the crop by 2030. Focusing on drylands is critical and ICRISAT is providing science-backed climate-smart solutions to millions of smallholder farmers in the drylands to build their resilience to climate change shocks. Early maturing, resilient varieties of millets and legumes help farmers escape terminal drought and ensure a good harvest. More than 40 varieties and hybrids of legumes have been released in Africa and India over the last five years which will help farmers withstand climate change shocks. 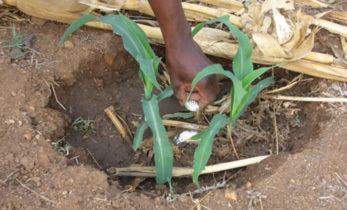 Climate modeling work is providing farmers a range of tools – from advisories on what to grow in the next season in case of delayed or poor rains in Andhra Pradesh, India, to adaptive packages for farmers to mitigate climate change effects in Zimbabwe. Our genebank being maintained over the last four decades is a critical part of our strategy to protect against loss of biodiversity due to desertification and land degradation. Genebanks in India, Niger, Kenya and Zimbabwe hold more than 120,000 germplasm accessions from 144 countries. More than 1.4 million samples of nearly 100,600 germplasm accessions shared with collaborators in 145 countries. Identified germplasm with new sources of tolerance to drought, salinity, heat and water logging, disease resistance, improved agronomic traits (early-maturity, high yield, seed size) and quality (oil, protein, iron, zinc, calcium). Overcoming poverty and food insecurity is a key element to ensuring peace and this is the core work we do in the rural areas through making farming sustainable and profitable. Our work also involves building effective, transparent and accountable community-level institutions for building inclusive and just societies. We also work closely with community and government institutions and provide formal capacity building. Multi-stakeholder partnerships are the cornerstone of our work. We work with governments, donor agencies, national research agencies, civil society organizations, private sector, farmers groups, etc., to realize a sustainable future for all.